Showing results for tags 'basc'. Which shooting insurance is better? Afternoon all, without me delving forums and internet does anyone have any experience on the basis of which shooting insurance to go with as from what I gather the 2 main ones (basc) and (basa) have considerable different costings, is there a particular reason for this, and what benefits does each give? Hi All, Does anyone know what the BASC discount would be off a new Land Rover? Plus, would it be added to any current LR discount being offered or is it a case that you can’t have both? Many thanks. ATB. Afternoon all, I was looking for some advice if possible! Which is best to get membership through for insurance purposes etc. BASC or CPSA? What are the main pros and cons of each? and what are peoples thoughts? 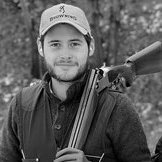 I have found the CPSA website quite clumsy to navigate round but in honesty do more clay shooting than anything else..... thoughts and advice really appreciated! Shooting for the Future A joint venture between the Game and Wildlife Conservation Trust and BASC. This 2 day course aims to improve your shooting and improve your shoot management. The next event is being held at the Allerton Project Visitor Centre in Loddington, Leicestershire on the 6th and 7th May 2016 Further details of the course and booking instructions can be found hear http://basc.org.uk/sporting-services/basc-training-courses/shooting-for-the-future/ We have received numerous Testimonials from the previous events “The high standard of presentations and coaching reinforced my opinion that conservationists and game shooters are very well represented by GWCT and BASC, who do so much for the environment and their membership, which is open to all.” IW, Chartered Surveyor, Chartered Environmentalist “I’m Still elated from a first class day last Friday.” IB “It was first class” – Mr Walker “The simulator was brilliant. The Coaching session was perfect! And the instructors Superb; Well Done! “– Mr Burkinshaw. “Fantastically informative for someone with little experience of game shooting. Such better value than an hours private lesson at the local clay ground, plus the proceeds go to a worthy cause” – Mr Cormichael “BASC and GWCT have put together an excellent course giving me much to think about, and techniques to help improve my shooting. All staff were extremely friendly with a wealth of experience in all forms of shooting. Very much looking forward to my next course” – Mr Stott “We were both new to shooting and believe that all new certificate holders would benefit from this early insight if they intend to shoot quarry. We are certainly more respectful. Thank you for your time. Very well run and informative course and exceptional value” – Mr and Mrs Mason. Shooting for the Future A joint venture between the Game and Wildlife Conservation Trust and BASC. This 2 day course aims to improve your shooting and improve your shoot management. The next event is being held at Ripley Castle in Yorkshire on the 8th and 9th May. Further details of the course and booking instructions can be found hear http://basc.org.uk/sporting-services/basc-training-courses/shooting-for-the-future/ We have received numerous Testimonials from the previous events held at Loddington in Leicestershire “The high standard of presentations and coaching reinforced my opinion that conservationists and game shooters are very well represented by GWCT and BASC, who do so much for the environment and their membership, which is open to all.” IW, Chartered Surveyor, Chartered Environmentalist “I’m Still elated from a first class day last Friday.” IB “It was first class” – Mr Walker “The simulator was brilliant. The Coaching session was perfect! And the instructors Superb; Well Done! “– Mr Burkinshaw. “The range judging and subtending was an eye opener – How wrong can one be? Very useful course” – Mr Pawlth “Fantastically informative for someone with little experience of game shooting. Such better value than an hours private lesson at the local clay ground, plus the proceeds go to a worthy cause” – Mr Cormichael “Thank you for a very interesting day” – Mr Allen “BASC and GWCT have put together an excellent course giving me much to think about, and techniques to help improve my shooting. All staff were extremely friendly with a wealth of experience in all forms of shooting. Very much looking forward to my next course” – Mr Stott “We were both new to shooting and believe that all new certificate holders would benefit from this early insight if they intend to shoot quarry. We are certainly more respectful. Thank you for your time. Very well run and informative course and exceptional value” – Mr and Mrs Mason. Completed my DSC level 1 last weekend with Jelen Deer services. What a Fantastic crowd, thoroughly enjoyed the weekend and was well looked after. The Venison Stew we were all served for lunch was really good and even managed to get an evening in the high seat on Saturday night! The Guys have all got a massive wealth of Knowledge and were really helpful with any questions any of us had. Keep up the good work would definatley recomend these guys to anyone wanting to do this course!! Thanks for a great weekend just a pity it went too fast! Hello all PW members, Hope your week has been better than mine, I was out on the field in last nights rain and although I was in a full water proof outfit I still got soaked. Still a bad day on the field beats a good day at work. Now for the spot of bother bit, as some of you know i enjoy shooting as much as the next PW member however i am fast coming into a spot of bother, the permission i have has basically ran out of rabbits. I am the only shooter on the land which inst very big, other than the land owner so its not because of to many shooters, i have just shot them all. Which is great for the land owner but bad for me. This as much as i hate to say it a plea for help, with next to no rabbits to shoot my rifle is fast collecting dust. If anyone out there can help me with nights/days out and about on their permission i would be forever be in your favor even if its just lamping until you get to know me. I am no fool when it comes to shooting and fully understand this does not give me permission to shoot on your land/permission and likewise for whom ever helps me. Although i wont be able to repay whomever with shooting on my permission, not unless you wish to shoot grass because that's all about there is now. I am more than willing to return the favor in what way i can and hopefully meet a new good friend along the way. Of course i am fully insured with BASC and if your wondering i have a F.A.C Sako Quad .22 Rim with Moderator. Also i am thinking of putting in for a HMR soon so i would love for anyone who has this and/or higher caliber rifles to give me tips and tricks, never can have too much experience, likewise for me if your an Air Gunner with F.A.C cleared land/permission i would be more than happy to safely teach, and hopefully help you to gain a F.A.C as a way of repaying you for your good deeds. Please PM me if you can help me out, If not thanks for the time you took to read this many thanks Nick. I signed the Petition against licensing of airguns in Scotland but I just received a widely circulated "social media" message from some moronic imbecile leading the anti-airgun-licensingcampaign bearing the slogan: "WE DON'T BLAME CARS FOR DRUNK DRIVERS. WHY BLAME GUNS FOR VIOLENT PEOPLE?" Apart from the crass insensitivity of this inane message in the aftermath of recent events in USA, which is bound to turn 99% of decent people against our campaign, what cretinous **** imagined that it was a good idea to compare guns to cars in an anti-licensing campaign??? Did they not realise that to legally drive a car in public, BOTH the car and the driver have to be licensed and that the driver has to pass a TEST to get a license? Is that what they are campaigning for in shooting?? To call those eejits mentally defective is an insult to all other mental defectives.